Cricket Dawn | Is the IPL an entrepreneur’s notion or glamorous commotion? As the Indian summer of 2008 set in, cricket’s most exciting domestic league-in-waiting was ready to enrapture the world with its glamour, glitz, fame, money and, not to forget, cricket. It was all so Kafkaesque, existing only because one man – Lalit Modi, India’s new-found magnate who was about to pull off potentially the biggest sporting league in the world. Modi was a culmination of those entrepreneurs who along with vision also made full use of the opportunity when it came. Although thoughts of such a league had been doing the rounds since the mid 90’s, the IPL planning came into full swing only after India’s Twenty20 win in the 2007 World Cup. The win helped the BCCI show how loved the game was and the format was accepted in the country. Thus, the IPL turned from the pipeline dream of its nascent stages into a reality. The media had pronounced the IPL to be a huge success way before it even began, courtesy Modi. The concept of marketing in Philip Kotler’s words was always about doing the small things right and Modi’s every action portrayed this commitment. From conducting the auction in a resort in Goa to spending over 10 million in a day, Modi ensured the IPL got 24 hour media coverage. Lalit Modi gave us the first insight into how big the IPL was going to be through its first auction. The place was dressed with glamour and businessmen so much so that the cricketing world was literally on sale. After all how big was Modi’s brainchild going to be? Was it going to live up to the reputation that it had trailered through all along? The common feeling going around was that if two business tycoons- Mukesh Ambani and Vijay Mallya were putting in their millions, there couldn’t be anything wrong with the format, could there be? The IPL was soon surpassing the ICC T20 World Cup purely in terms of entertainment, sponsorship and viewership. Eyes from over the globe now glued in as the field turned into an auction house and the Wisden expanded to include negotiations, acquisitions, sponsorship deals and other terms formerly found only in an entrepreneur’s lexicon. The primary reason that the IPL started is known, but the bad blood between the BCCI and the ICL governing committee motivated the former to go one step ahead. The disparity between the IPL and the rebel ICL (started before the IPL) is a blaring example of what an entrepreneur can do. ICL, headed by Kapil Dev, clearly had brand equity higher than what Modi had in 2008. In spite of the ICL boasting of greater talent as far as the Indian youngsters were concerned, it was the IPL that ruled the roost. It was the IPL that got all the coverage. The most inconsequential of IPL matches made it to the headlines but the finals of the ICL barely scraped through to the last page of the newspapers across the country. Legalities always play a big factor in the starting of a business and the lack of awareness from a Kapil Dev whose expertise clearly didn’t lie in the business world. Kapil failed to get approval from the ICC about the ICL. As a result of this the ICL was labeled a rebel league. In a matter of two successful IPL seasons, Modi was now a household name. However, there was more than what met the eye. The success of the IPL had got the better of Modi. People who knew him deemed him to be authoritarian and arrogant in his ways. The shifting of the IPL to South Africa was controversial, albeit successful. Modi had defied many in the Government and the BCCI citing various reasons. Its been over a year since he was given the axe and it remains to be seen whether he will able to dig himself out of the hole he created himself. Despite all this, one man had the vision, one man persevered with it for over a decade and the man revolutionized cricket forever. 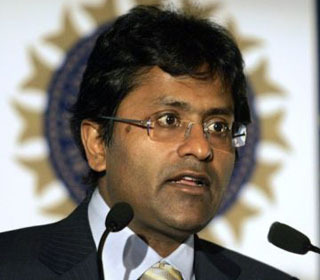 Regardless of the controversies, Lalit Kumar Modi will never be forgotten for his contribution to cricket as a whole. His is a clear example of how entrepreneurship is an art and science of creating value. Every business needs a driver; IPL had Modi. No matter what your critics tell you, Modi made IPL. His iconoclastic ways have etched an indelible mark in sporting history and the minds of the masses for posterity. Undoubtedly Lalit Modi has done something which is unthinkable however like rest of India, corruption, politics and greed has creped into it as well. If not Lalit Modi then sooner or later someone else might have done it. I also dreamt of something similar long time back only if I had money. The only thing which doesn’t go down my throat very well is inclusion of aliens in the teams. However without them IPL couldn’t have been a big hit.